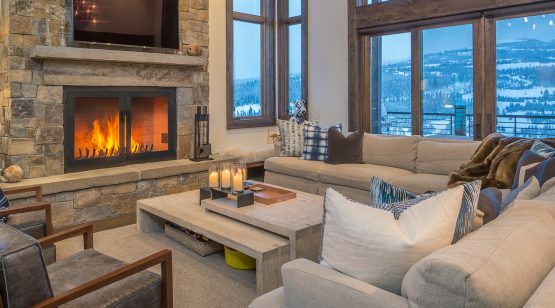 Life in the Settlement offers a distinctive pace of life, filled with the excitement of a ski resort and the privacy of a mountain retreat. 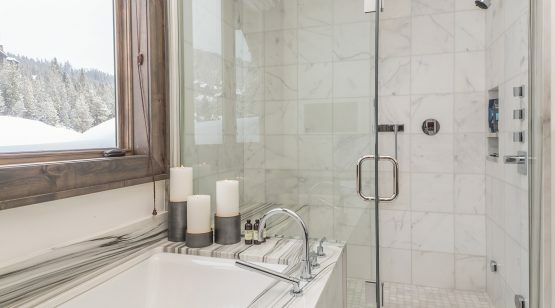 From its location on Preservation Drive, the bustle and amenities of the base area are but a short drive away. 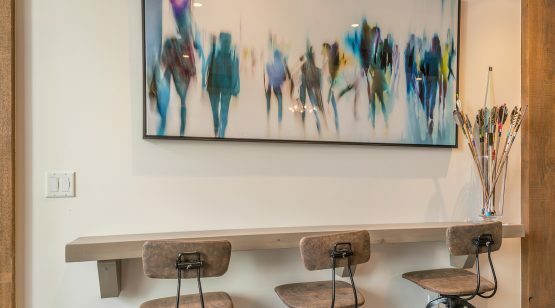 Enjoy fine and casual dining, live entertainment, shopping, concierge services, and more—all within easy reach. 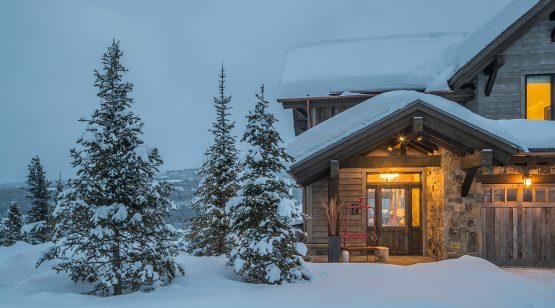 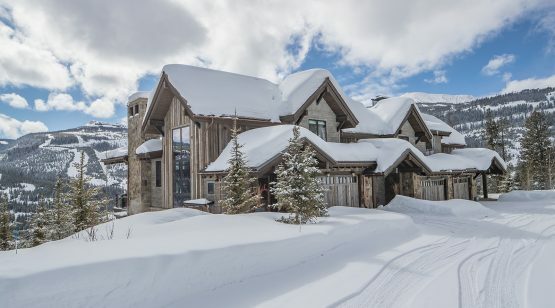 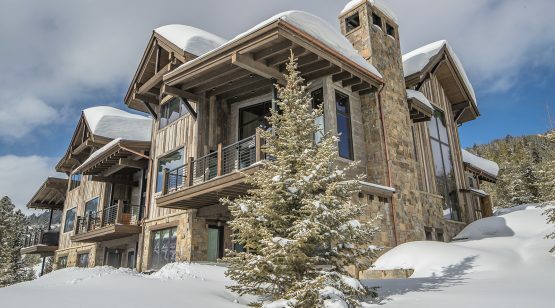 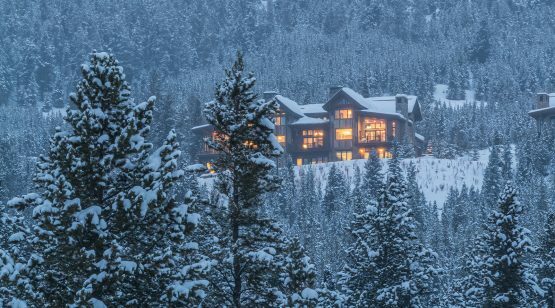 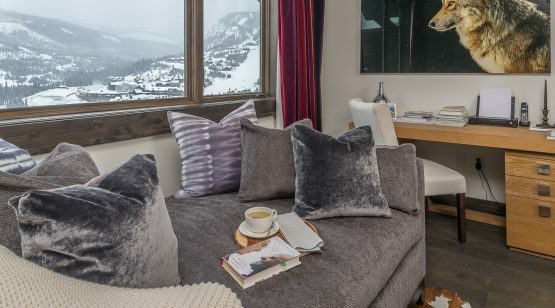 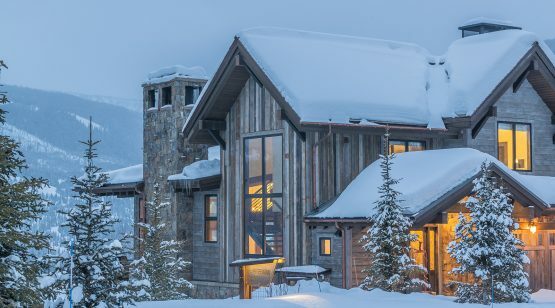 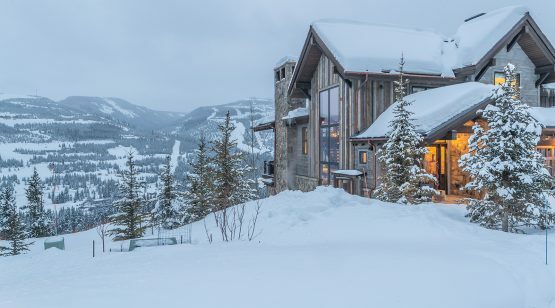 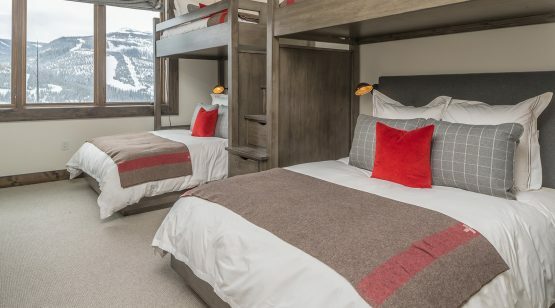 These unique triplex units offer bountiful living space, wide-open views, and, naturally, amazing access to world class skiing. 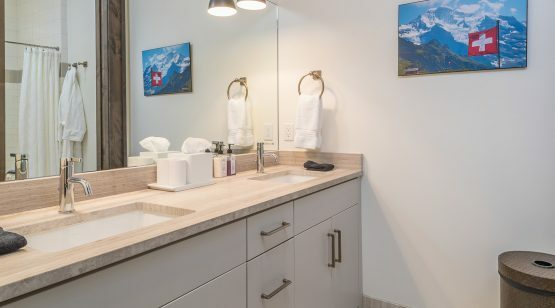 Settlement 1C, currently offered for sale, is a gorgeous five-bedroom unit, filled with unique touches and fine detailing. 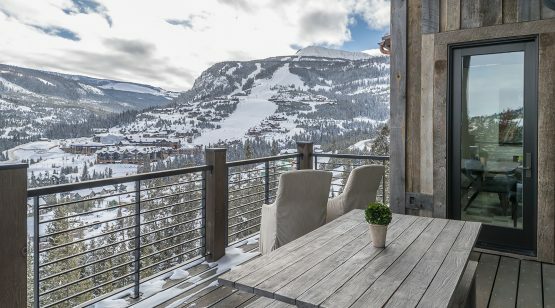 From the entryway, the eye is inevitably drawn to the custom staircase, where open treads and railings are set against a three-story-tall window, flooding the entire unit with natural light and mountain views. 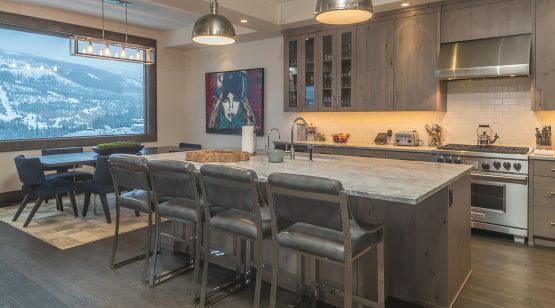 The main level delights with its easy movement between spaces: the kitchen, dining, and great room all complement each other and allow for effortless gatherings. 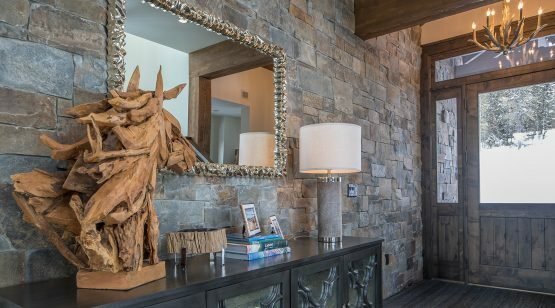 The interior design is warm, elegant, and timeless. 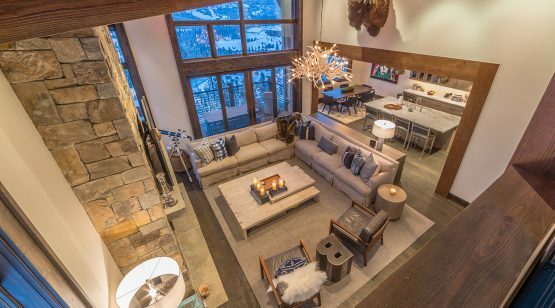 From the great room, enjoy the wall of glass doors that open out to the covered deck, ideal for soaking in mountain views on warm evenings. 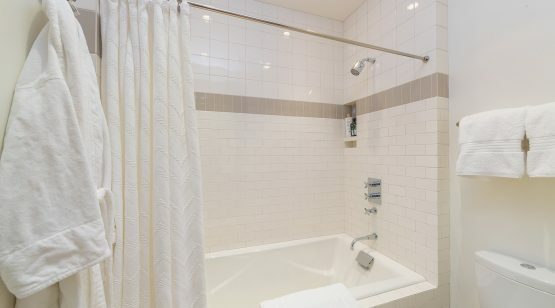 The lower level provides ample accommodations for guests, as well as inviting informal gathering spaces. 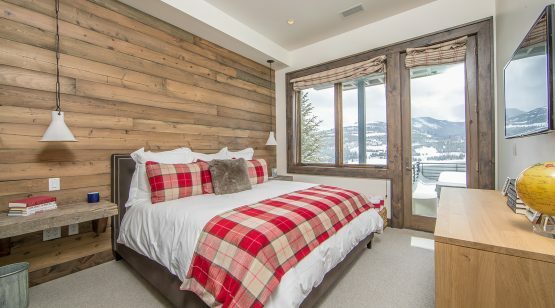 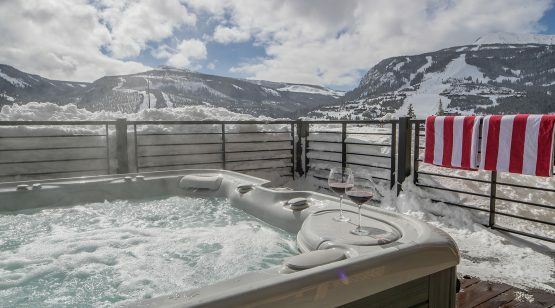 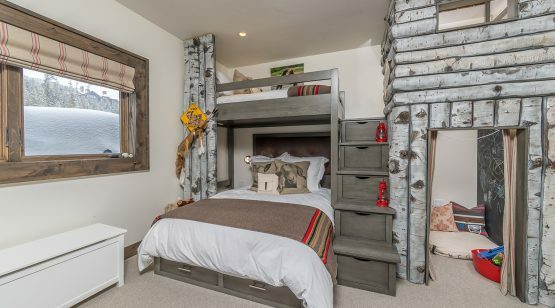 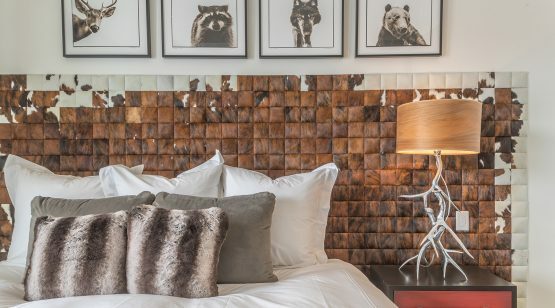 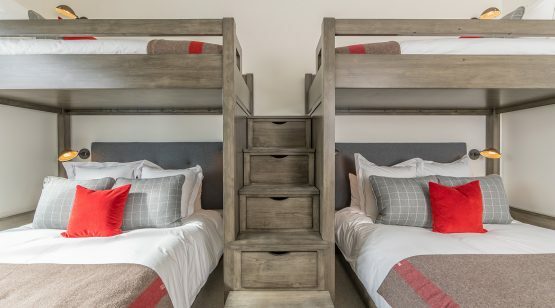 Two guest suites each have their own full bath plus a private door that opens to the hot tub, while the whimsical bunk room is configured to sleep five comfortably. 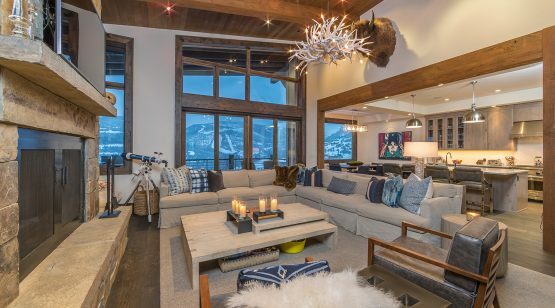 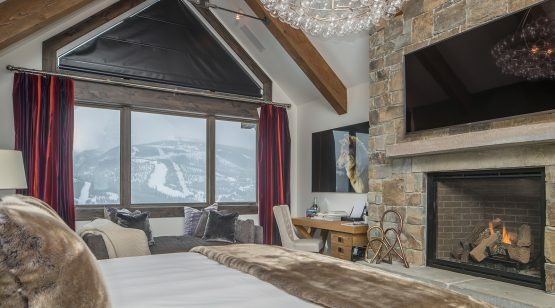 The large rec room features plush furnishings, exposed wood beams, and an adjacent wet bar. 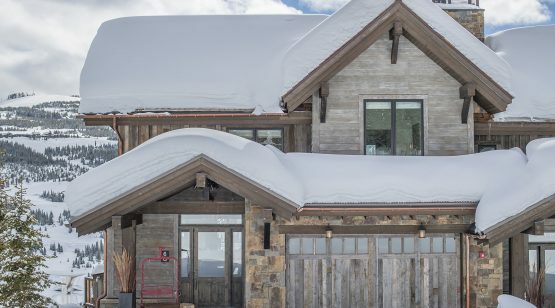 The owner of this unit will enjoy the refuge of the upper level master suite, where vaulted ceilings and peaked windows evoke the feel of the nearby mountains. 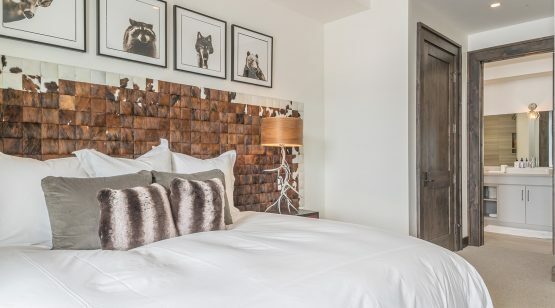 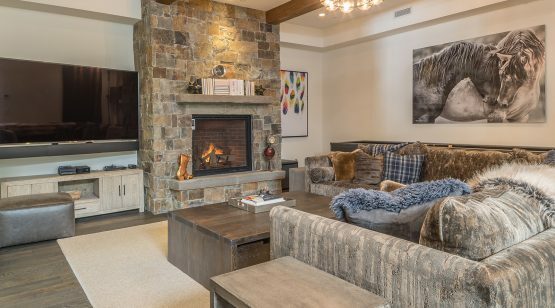 The large, hand-stacked stone fireplace gives the master suite an impressive sense of scale; stone accents are tempered with warm fabrics, plush rugs, and thoughtful lighting. 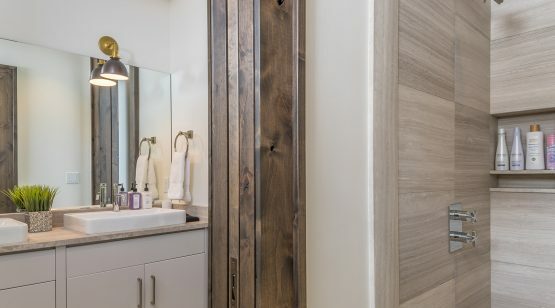 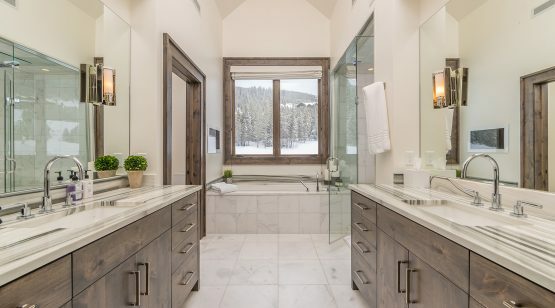 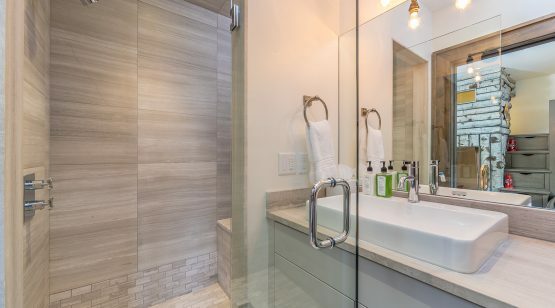 The master bathroom, with its contrasting light walls and dark woods, feel spacious and modern. 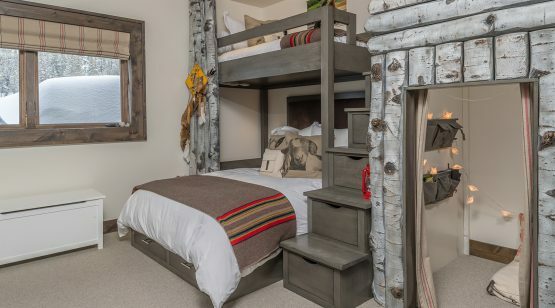 The second upstairs bedroom can be configured to serve as traditional bedroom space, home office, or private workout space.